Chilly isn’t it? Expect you’re digging out that winter coat from the back of the wardrobe to keep you nice and warm as you trudge from your centrally heated house to the hot tube to your heated office and back. Because for those minutes that you’re outside, it’s cold and you want to be warm. Makes sense. Now imagine that it’s just as cold but you don’t have a centrally heated home, in fact you don’t have a home at all. Nor do you have an office. You’re pretty much outside most of the time. But you want to be warm. Makes sense. Hands On London is trying to help. 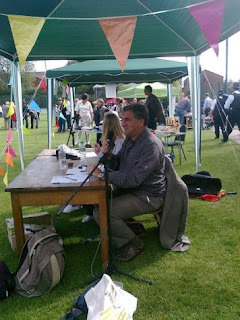 For the second year in a row, it’s organising Wrap Up London. The idea is that you donate a winter coat for homeless people and those living in poverty. Maybe you have a coat that’s no longer in fashion, maybe it’s not as smart as when you bought it, maybe you simply have too many coats in your wardrobe, or perhaps your son or daughter has grown out of the coat you bought them a couple of years ago. So give it to someone who really needs it. 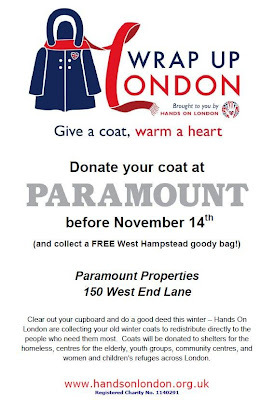 Hands On London’s second annual coat collection campaign will take place from Monday 5th – Friday 9th November. It aims to collect and distribute 10,000 coats to London’s most vulnerable people via more than 80 different shelters and charities. 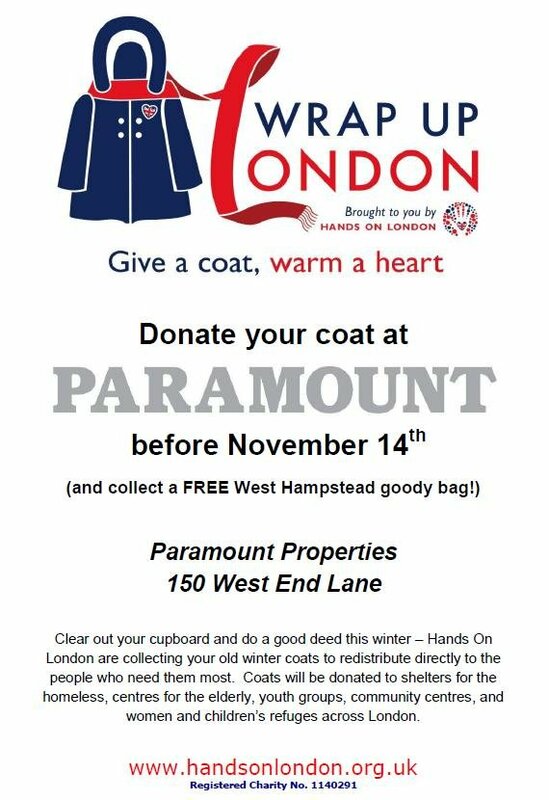 There are a few ways you can give your coat: at major tube stations next week between 7 and 11am (see website for full details), or, more conveniently for some, you can drop it in to Paramount estate agents on West End Lane during its office hours (Mon-Thu 9-7, Fri 9-6.30, Sat 10-3) right through to November 14th. Help keep someone warm this winter.